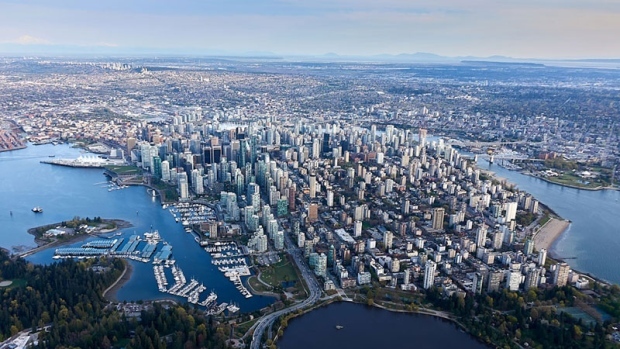 Vancouver's downtown core is seen in an image taken from Chopper 9 by CTV Vancouver's Pete Cline in April 2018. VANCOUVER - The City of Vancouver says it has collected $21 million in the first full year of its empty homes tax and another $17 million could still flow into its coffers. The city says in a news release that it expects to generate about $38 million from the first year of the tax which is applied to vacant residential properties in a bid to ease Vancouver's one per cent vacancy rate.